9. Enhance date of pension etc. Whereas the residential address at the time of retirement of the employee at the time of retirement is not mentioned. Due to this, the pensioners face difficulties to enrol themselves in CGHS beneficiary as there is no residential address in the PPOs. 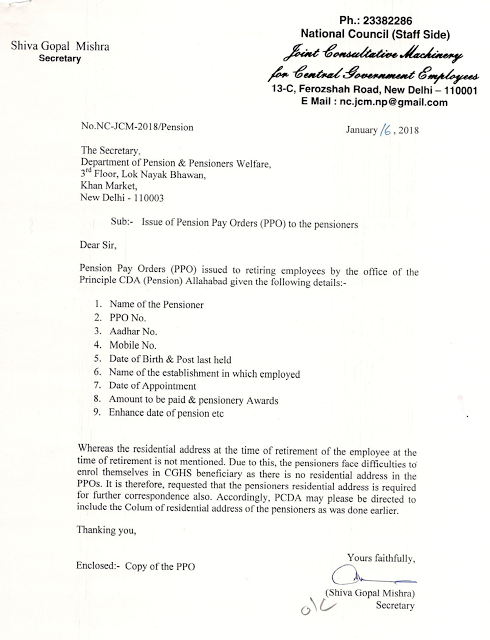 It is therefore, requested that the pensioners residential address is required for further correspondence also. Accordingly, PCDA may please be directed to include the Colum of residential address of the pensioners as was done earlier.